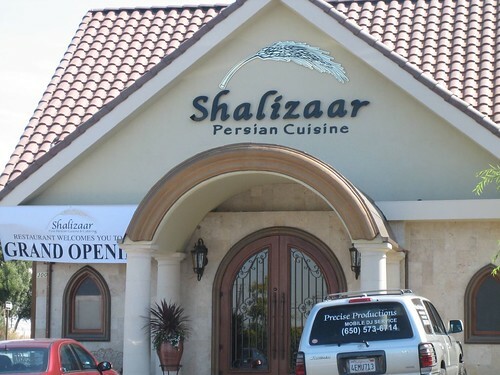 Shalizaar has been open at this new location in Belmont for less than two weeks. 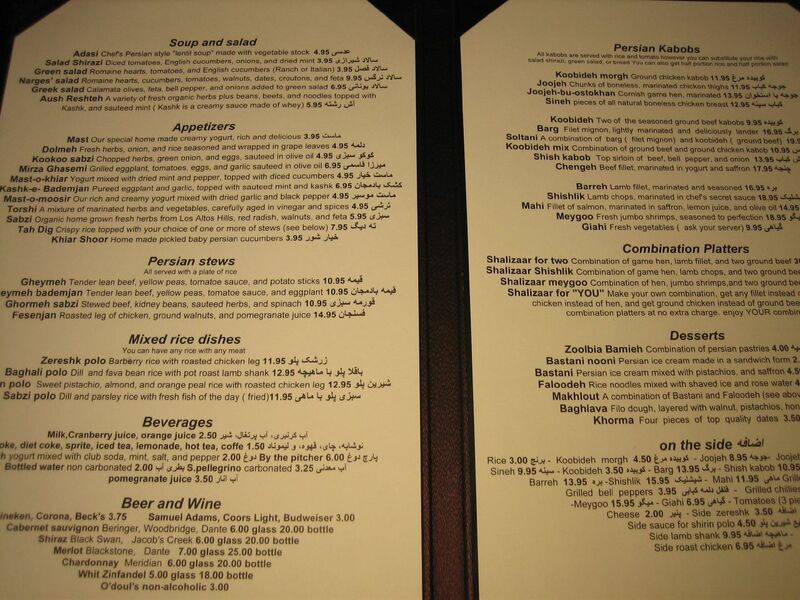 The building seems entirely brand new, the floor, the bar and furniture is upscale and that's also reflected in the menu prices. At lunch hour, the dress was business casual to semi-formal and the service was excellent. Every table was taken and the bar was only place to eat without a reservation. 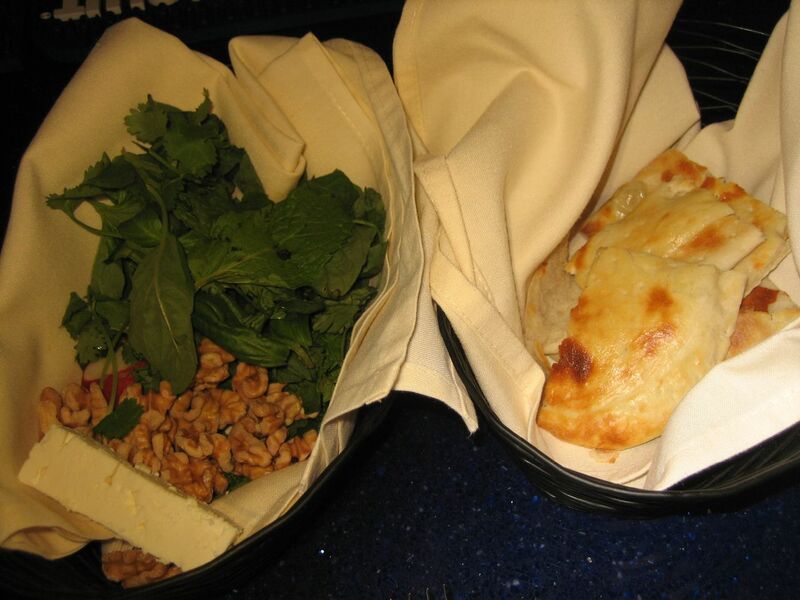 Once seated, I received a basket of good quality walnuts, with a slice of feta and a mix of mint and basil. 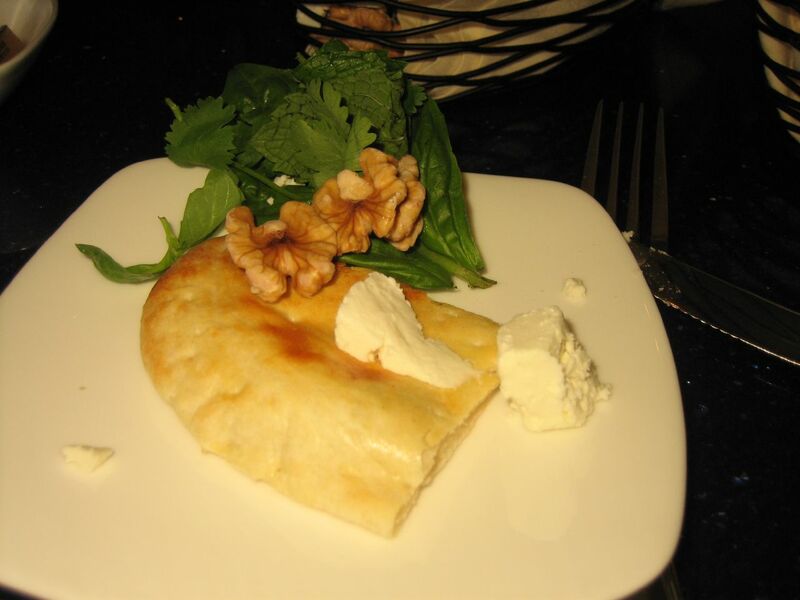 Soon thereafter warm pita bread from the wood fired oven arrived. 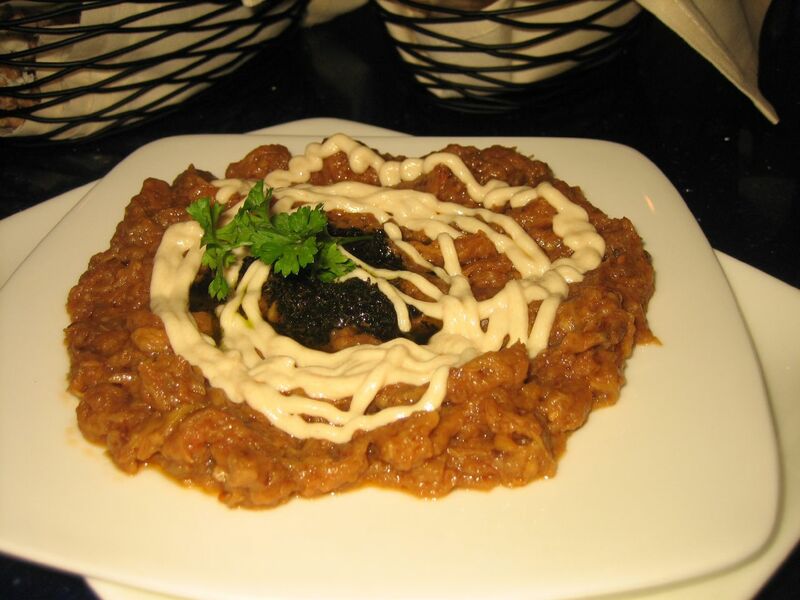 According to the host the most popular starter is the Kashk-e-Bademjan, pureed eggplant and garlic, topped with mint and kashk. A huge serving of this came out and struck me as good, but nothing particularly special. 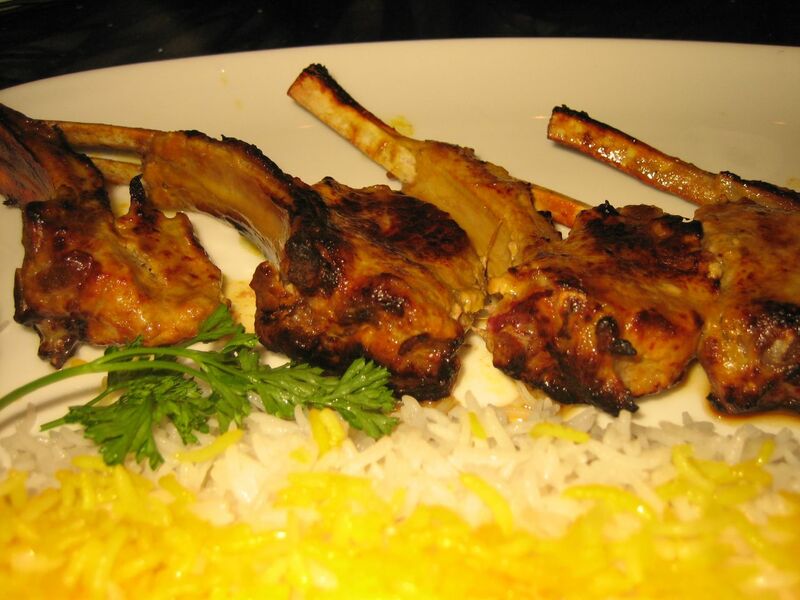 On the other hand the Shishlik, marinated lamb chops were excellent, the marinade gave the meat a slight sourness which matched well against the salty caramelized edges of the chops. Dispensing with formality, I ate them like lamb lollipops. The meat was juicy and soft, though it still required a knife to cut rather than falling off the bone. The rice was particularly good. 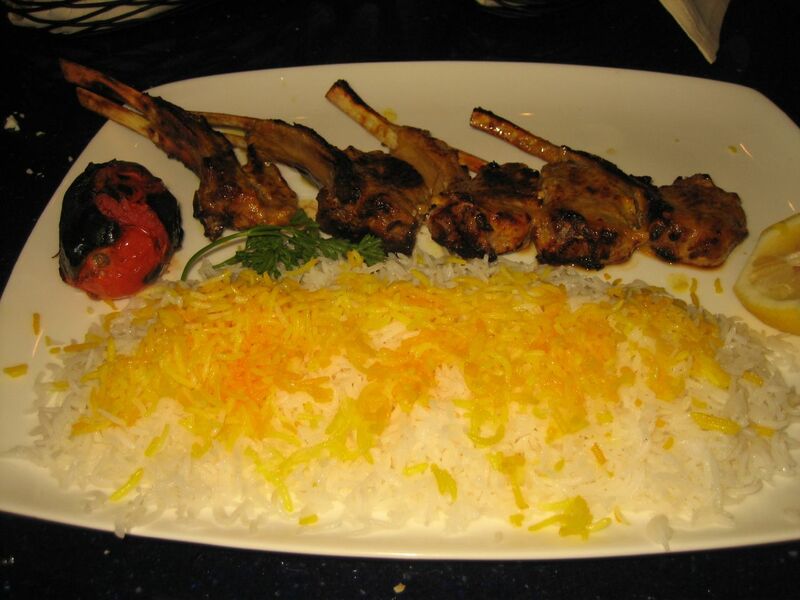 Later, I noticed that the menu offered several variations of rice, so rice is something they pay attention to, rather than just a plate filler. I'd come back again for a nice dinner, though I can't say that it's the best quality to price values out there.